The first days and weeks of a new job are an exciting, nervous time in the employee lifecycle. If you hired right, these newbies are coming in with that spark and tenacity for the company vision, but it has to be fueled in order to stay lit. Onboarding is one of the most important steps in successfully acclimating a new employee, but it is also one of the most rushed and overlooked. 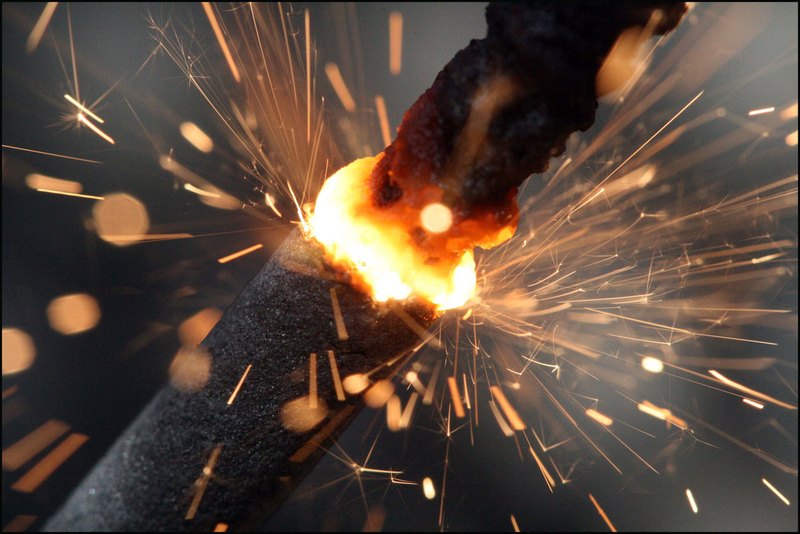 The spark that new hires come in with is valuable; it represents engagement, motivation and a built in drive. Here’s how to keep it burning. Treat onboarding like more than a compliance issue. So yes, onboarding is in fact a compliance issue in HR, but that isn’t all onboarding is. It’s about more than papers, training videos and signatures. 31% of people have quit a job within the first 6 months. The cost associated with that kind of immediate turnover is pretty rough. A thoughtful, and seamless onboarding program can really impact immediate and future turnover. For starters, go paperless. The compliance side of traditional onboarding can be incredibly time consuming, redundant and just plain boring. Think back to when you first got hired, how many times did you write your signature, fill in your address and jot down your social security number (about 475?). Paperless onboarding with smart forms and e-signatures allow new hires to speed through the process, while ensuring compliance. Now get to the good stuff. 56% of new hires want a buddy or a mentor to help guide them through their first week, and 59% believe that a company tour, and an explanation of equipment and processes are important. The miracle of HR technology allows organizations to dedicate the necessary resources to a real, personal onboarding program. Have a group of your staff designated for taking care of your new recruits. Be sure that this welcome wagon team is full of your most engaged and outgoing members. You can ensure a great mentorship or buddy program by incentivizing it. Give your mentors and buddies a reason to make the onboarding process special, and they will. Vision and direction are fuel. We have all been witness to the painful sight of the new employee wondering around aimlessly and drinking their fifth cup of coffee because no one has taken the time to actually tell or show them what they are supposed to be doing. Think of your onboarding program as a game of Flappy Bird; never, ever let engagement drop. In order to keep that excitement that they walked in the door with, they need immediate and continuous direction. A Harris Interactive study revealed that only 37% of employees understand what their employer is trying to achieve and why. Given all we know about the importance of goal alignment and tracking, that statistic is down right shameful. Communicate the vision in a solid, understandable way, and make sure they can convey the information back to you. Feedback is imperative at all stages in the employee lifecycle. As we have established many times in this blog, feedback is not a one-way street. Employees in the onboarding process should be given feedback, but they should also be given the opportunity to give it. Leaders give employees feedback so that they can learn, grow and stay on target. Guess what, the same goes for soliciting feedback from employees. Take what they have to say about the onboarding process and use it to create a stellar, effective program. This feedback should be solicited from each new employee, and should be documented for the measurement and tracking of your program’s progress. You’re probably thinking what a lot of our clients think about dedicating more resources to onboarding –We need to get new hires productive yesterday, not after tours, lunches and “get to know ya” meetings… The truth is that employees who go through a good onboarding program will likely start to generate revenue (or hit their “break even” point) up to 20 weeks faster than those who did not go through a defined onboarding process. In all honesty, employers have to clear up resources for improved onboarding, and it is going to start with your HR technology. Learn more about paperless onboarding, smart forms and e-signatures right now.